I love walking into a room or going to an event and being asked by everyone where I got my outfit, so it should come as no surprise that my favorite type of pieces to invest in are statement pieces. The purple Reem Acra dress I was able to wear for a recent photo shoot is a perfect example of a statement piece and one that many women might shy away from wearing, afraid of how the shape will look on their body — but I love wearing pieces like this as way to show women how to style and wear them and most importantly break out of those common and antiquated old “rules” of what women “should” or “should not” wear. Stepping out of my comfort zone is thrilling to me and I almost always never regret it. Same goes for investing in higher end fashion pieces — it's the thrill and fashion high that I am after. You find the dress or outfit of your dreams and you can’t stop thinking about it. You envision what you’d pair it with, what events you would wear it to, and how you would style it for an Instagram post. It’s your size, your aesthetic but it’s a higher price than you’d normally pay for a piece of clothing. You don’t buy it. You instead go to your trusty fast fashion destination and spend the same amount of money on several pieces that you’ll likely wear once and then end up on the floor or stuffed into a hamper—or worse, the poor quality of the garment keeps it from living another fashion day. These pieces don’t give you the same fashion high that the piece you lusted after gave you. You try to forget about it but you never do. It’s the look that got away. If you’re anything like me, you’ve let a lot of these looks get away. Why? Maybe you’re still hoping to get your pre-baby body back so you’ve been hesitant to refresh your wardrobe. 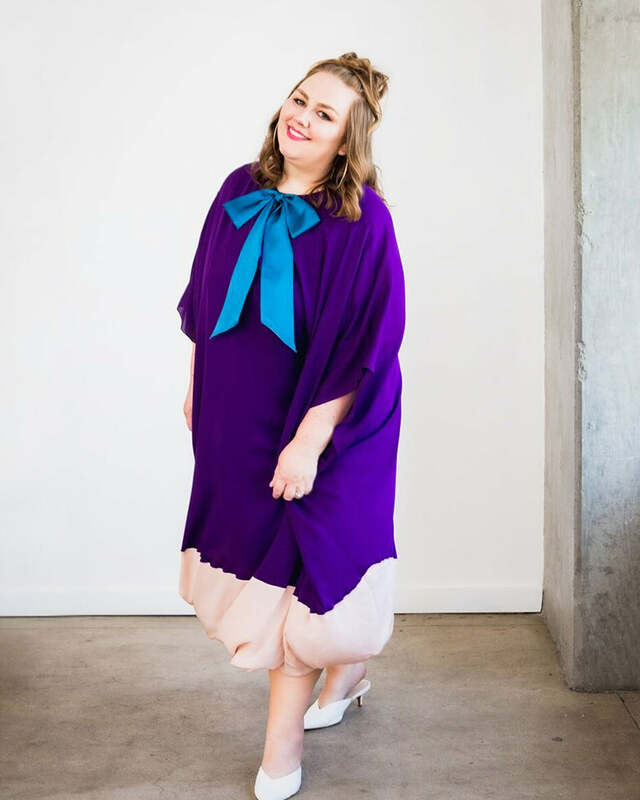 Maybe because being above a size 12 has meant that you’ve had to shop the racks in the back of a store, or not shop at all because the beautiful elevated pieces have stopped at a size 8 so you’ve given up on elevating your style. Whatever the reasons, we’ve all been there and it limits our sartorial potential. It’s time to change the mindset that we shouldn’t invest in the body we have right now. It’s time to celebrate our bodies at any stage— in any season of our life. 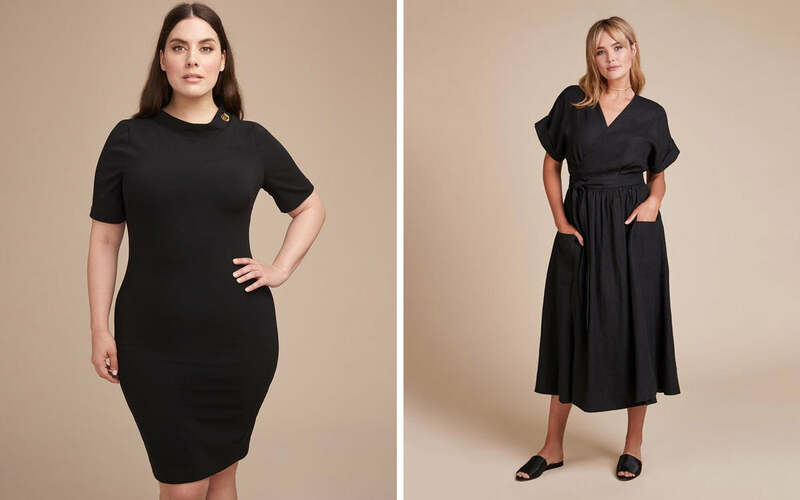 Thankfully luxury and designer fashion are no longer just reserved for women under a size 10 and now is the best time to revamp your wardrobe with gorgeous pieces that will give you that fashion high you’re seeking. Look for staple pieces like a little black dress that can be styled in various ways. Dress it up with a boyfriend blazer and pumps or dress it down with a denim jacket and white sneakers. Invest in pieces that will get lots of wear like a chic blazer. You can pair it with jeans or wear with a summery chiffon dress. Curate your perfect wardrobe with your personal aesthetic in mind. Start with 3-5 pieces that you can build multiple outfits around. Choose pieces that highlight your favorite part of your body. When you invest in pieces that you know you’ll feel beautiful in, you’ll be more likely to build more outfits around those treasured pieces. 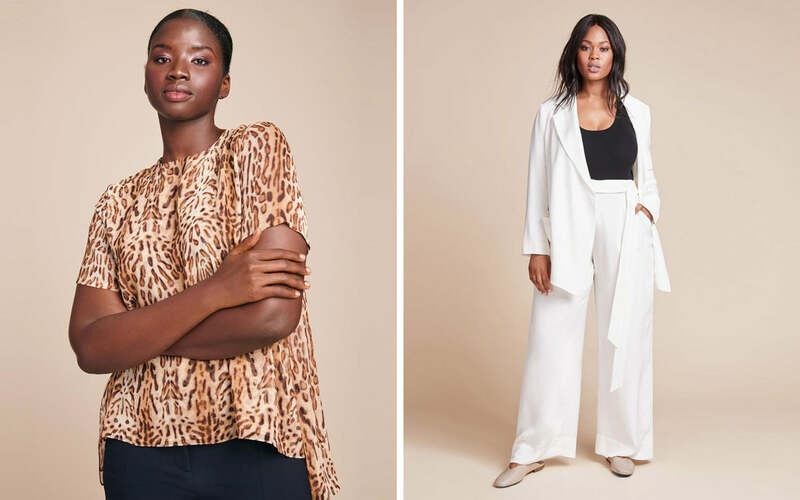 You don’t need a closet full of high-end luxury pieces (a girl can dream) but you can start building your dream wardrobe with a piece that you’ve been coveting. You’re worth the investment and even if your body changes, a quick visit to the tailor is an easy fix for a piece not worth letting go.